Please take a moment to familiarize yourself with our recommendations on what to bring with you on your safari trip to Tanzania. If you would like a printable, one-page version of this list, please click here to download a PDF copy. If you’re going to be joining us for a Kilimanjaro trek before or after your safari, please check out our separate Kilimanjaro Packing List as well. If you have any questions about this list, or have a question about something not listed here, please contact us. While on safari, neutral colored (such as khaki), relaxed clothing is recommended. Many guests choose khaki-colored pants (jeans, or nylon-based “travel pants” — such as the zip-off convertible types), paired with a T-shirt or button-up shirt. Why neutral colors? Because bright colors can upset or scare some animals, and dark colors (black, dark blue, etc.) can attract flies and mosquitos. 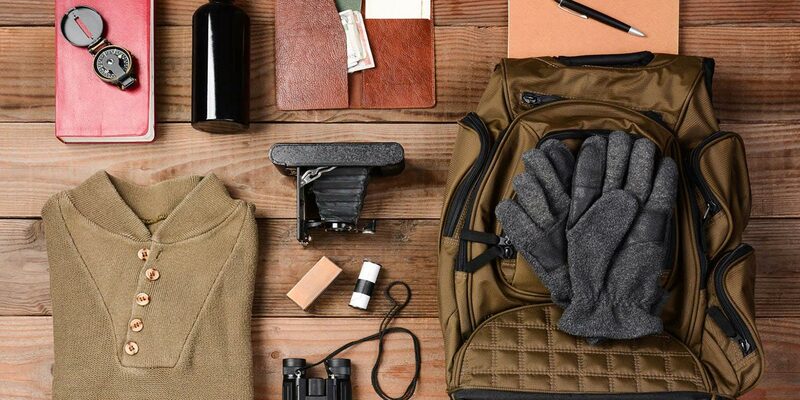 As the temperature can fluctuate throughout the day, it pays to dress in layers, and we’ve found that light Merino wool (such as Icebreaker, or Woolly), or synthetic blends (such as Ex Officio), work best as base layers. On top of that, feel free to wear a long-sleeve button-up shirt, jeans, or khaki pants. T-shirts are also popular, especially during the warm hours in the middle of the day. Nights and early mornings can be cool — even in the summer — so we also suggest taking a fleece or jumper/hoodie for the times you might feel a bit chilly. Once the sun comes up and it gets a bit warmer, you can just cast off any top layers as you wish. A pair of comfortable tennis shoes will be your best bet while on safari. Be aware that you will be taking them off and on a bit, as we ask that you take off your shoes before you stand on the seats to grab a better view of the wildlife (something that happens often). If you plan on going to Zanzibar, you should pack a pair of sandals or flip-flops for use on the beach. a day pack/backpack that you can bring inside of the cabin with you, told hold any excess clothing, electronics, extra batteries, snacks, etc. As you may notice, a lot of the items listed above have something to do with sun care/prevention. We are pretty close to the equator, and the sun here burns a bit stronger than you may be used to. Be prepared! Please note that we will carry a first aid kit, binoculars (at least one pair), and water (see Water, below). Flashlights are provided in your room at the lodges for when you need to walk in between your room/tent and the main/dining lodge. Please limit baggage to two items per person, and always use soft-sided bags rather than suitcases (e.g. duffel bags and backpacks). This is to allow easier packing into the rear of the Toyota Land Cruisers which you’ll be travelling in. Please note that if your trip includes any domestic flight(s) (e.g. a flight to Zanzibar pre- or post-safari, or if you choose to fly back to Arusha from Serengeti National Park), luggage may be limited to 33 lbs (15 kg) per person or less. Please double check with the airline’s guidelines to make sure you don’t overpack (if we book the flight for you we’ll be sure to let you know). We will provide you with bottled drinking water throughout the duration of your trip, so no need to bring any containers for water, or any type of purification systems. Bottled water will also be available in your rooms, for both drinking and brushing your teeth, etc. We recommend you use this water for that purpose, in lieu of the tap water, just to be safe. We encourage all guests to consult with their licensed medical professional prior to setting off to Tanzania. Make sure you are up-to-date on your basic travel immunizations, such as Typhoid, Hepatitis A, Tetanus, MMR, DPT, etc. See a full list of recommended immunizations at the U.S. Center for Disease Control website, here. 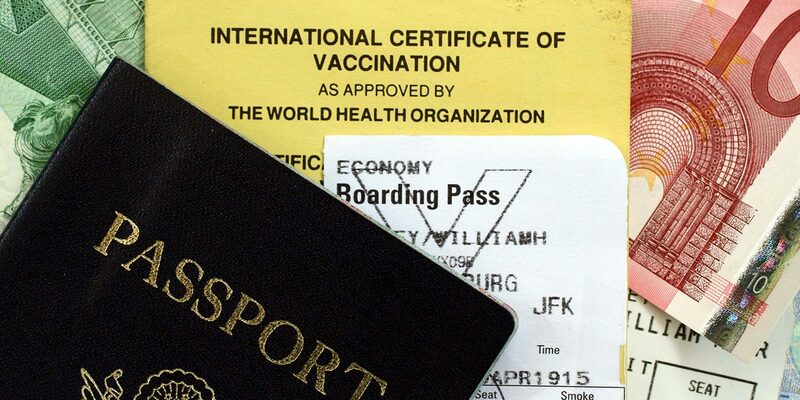 Proof of the Yellow Fever Vaccine having been administered is required if coming from an endemic country, or if spending more than 12 hours on a layover in an endemic country (e.g. Brazil, Kenya, etc. – check the current list of countries here). Zika is present in the country, but the U.S. Center for Disease Control classifies the risk to travelers as low. Find out more about Zika, including risks and prevention tips, here. If you may need any other medication, such as prescriptions, aspirin, an inhaler, Imodium, etc., please make sure to bring enough with you to last the duration of your trip (and maybe a bit more, for good measure). We encourage all guests to purchase at least travel medical insurance, in the event that you get sick or injured while you are with us in Tanzania (not because what we are doing is dangerous, but just because accidents and illness can happen anytime, any place). Trip cancellation insurance will cover your trip costs, including airfare, if for whatever reason you cannot make your trip as previously scheduled (illness, death of a family member, etc.). If you’d like to purchase both , we recommend using TravelEx, as it has been independently rated as one of the best insurers around, and doesn’t cost much. If you would like to compare trip cancellation and/or travel medical insurance plans from a variety of providers, please head on over to Squaremouth insurance search engine. Make sure to bring all necessary chargers to power any devices you’ll be bringing with you. There will be power outlets in the hotel rooms as well as in the vehicle itself so that you can keep everything charged up. Tanzania runs on a 230 volt/50 hertz electrical grid. Most power sources auto-switch voltage nowadays, so you most likely will NOT have to bring a voltage converter with you (notebook PC’s, smartphones, anything with a USB charger, camera battery chargers, etc.). Tanzania’s plug-type is the same as the UK plug (as it was once a British colony). We will have some plug converters on hand in case you need them, but we recommend grabbing some converters on your own as well — such as this one, available on Amazon.com. We don’t recommend bringing high-draw electronics that don’t auto-switch voltage, such as curling irons and hair dryers, as using them on the local voltage could ruin the devices. 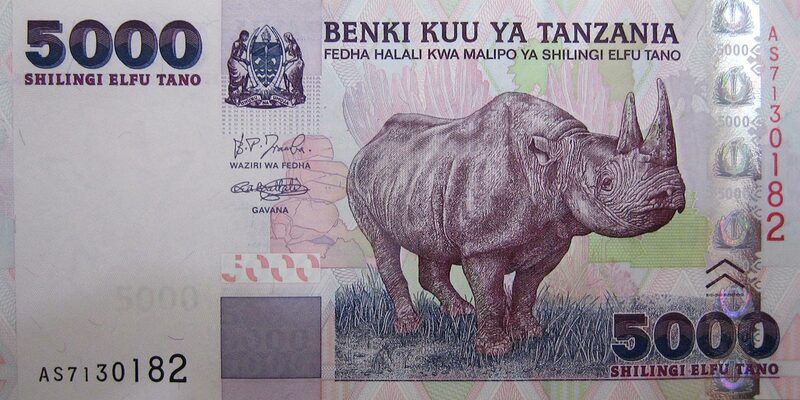 The local currency is Tanzanian shillings/shilingi (TSh/TZH), and is available via ATM withdrawals in Arusha city, or by local money changers at Kilimanjaro International Airport, or at the banks in town. Denominations of paper currency include 500, 1,000, 2,000, 5,000, and 10,000 shilling notes. With the largest note — TSh10,000 — valued at just over USD$4.00, be aware that you’ll be carrying a ton of notes around if you make a large withdrawal/currency exchange. However, most transactions during your stay — especially during the safari portion — will be listed in U.S. dollars. U.S. dollars are the preferred currency for everything from souvenirs, alcohol and services at the lodge, and gratuity. If you prefer to pay a bill listed in U.S. dollars in Tanzanian shillings instead, just let the clerk or staff member know and they will convert the total to shillings. Euros are also accepted, but are not as preferable as U.S. dollars. If you have an unlocked mobile phone you will be able to use a local SIM card in your phone (iPhone, Android, etc. — check with your carrier if you don’t know if your phone is SIM locked or not, as many carriers will unlock your phone for you if you just ask). However, in order to get a local Tanzanian SIM card you’ll need to bring your passport and some Tanzanian shillings to one of the registration centers in Arusha, choose your calling/Internet package, and wait for them to sign you up. Although this can be done, we ask that you let us know in advance if this is a service that you’ll be needing. Alternately, you will have a wifi router present in the Toyota Land Cruiser that will allow you to connect to the Internet whenever we have a tower signal (which is actually present in a remarkable number of remote places, even within the parks). In addition to this, your lodges and luxury tented camps will have similar wifi routers available (most operating on mobile carrier towers), although they do tend to lose signal at times, or become slow in the evenings whenever too many guests are trying to connect. For general use — messaging, checking social media, email — you shouldn’t have any real issues, other than occasional outages/slow down of the Internet speed. Uploading video, high resolution photos, and transferring other large files may be problematic though, even when using a personal SIM card. In either case, we’ll be there to pick you up when you arrive! Just look for our representative (usually your guide himself) holding a placard with your name(s) written on it outside of the baggage claim area. From JRO airport it will be about an hour drive to Arusha, from ARK it will be a matter of minutes. Same thing goes for your departure day — we’ll be driving you to the airport, timing everything so that we arrive approximately two hours before your flight departs. 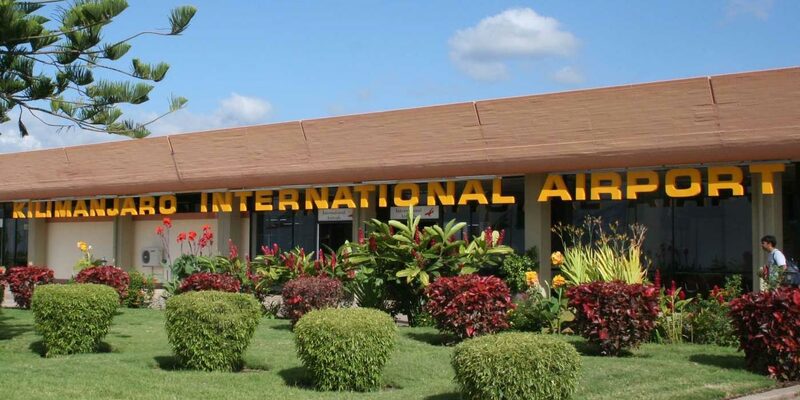 Both airports are quite compact, so you won’t need much time for check-in procedures.